Signature Iron Doors is quickly becoming the nation’s leader in quality ornamental iron products. Every piece of iron is hand forged. Each of our designs is perfected through an iron design and technician team. 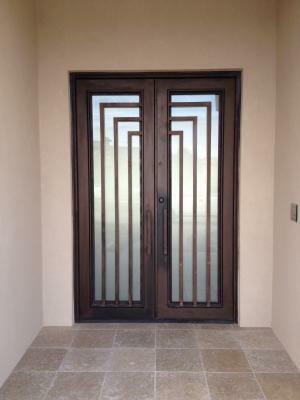 From elegant scroll work to dignified divided light doors like this one in Paradise Valley, all our products are crafted to enhance the value of your home in beauty and security. Please call us and come visit our showroom in Phoenix Arizona to discuss with a sales representative your iron door options.